Skyscrapers are awe-inspiring creations—their gigantism makes them so compelling. They impose themselves on the urban landscape and reflect back upon us something about who we are and what we aspire to be, as a society, civilization, and species. The skyline yields a kind of mystical window into the modern world. My fascination with skyscrapers and skylines begins with New York City. Its history and buildings are inextricably linked. Growing up in the New York City area and having developed a deep love and interest in the city has meant that skyscrapers would be forever imprinted onto my identity and sense of home. Curiosity has thus pushed me on a journey to learn how and why this great city formed and grew. This is what gave rise to my book, Building the Skyline: The Birth and Growth of Manhattan’s Skyscrapers. By writing it, I sought to understand how a verdant forest island was transformed into forest of steel buildings; how the towering oaks and pines were replaced by the Empire State and Woolworth Buildings. We know a great deal about skyscraper technology and what it takes to create one. For nearly a century and a half, engineers and architects have mastered the physics of building. They have employed new methods and materials to make them taller, lighter, and more user-friendly. R&D and computing are used to test new products, building systems, and designs. Elevators are much faster than ever before; structures are much better at interacting with powerful wind forces; and they can be built over formidable geological conditions. Developers, too, know well the business of producing them—what they cost to build, how much money they can expected to generate and so on. 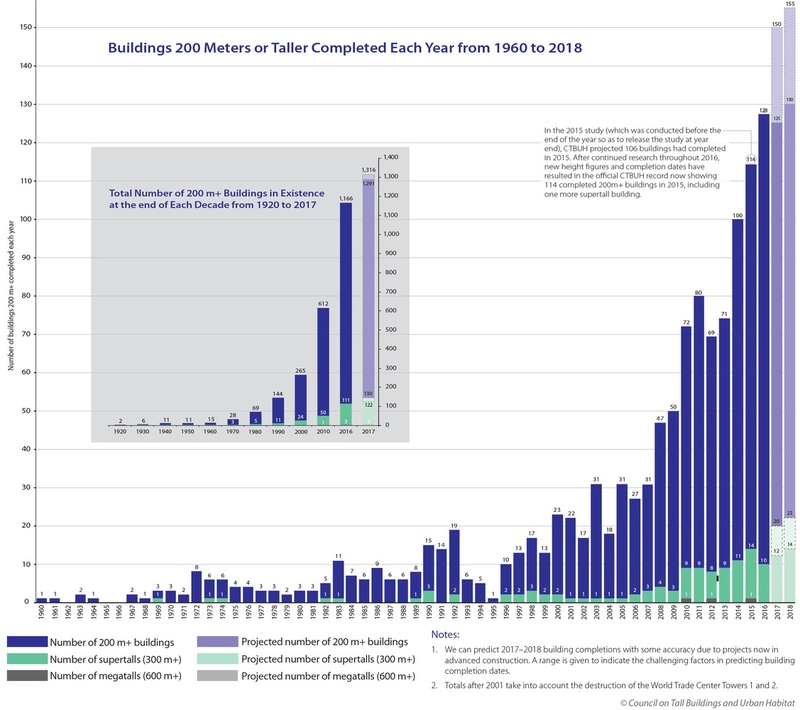 Together engineers, architects, developers, and suppliers, along with government officials, have created a massive skyscraper industrial complex—a sophisticated economy and market ecology to manufacture and sell them. While they are built to satisfy the needs of the builders and the occupants, taken together, these structures produce something much more: they create skylines and new cultures—new ways of living, interacting, and seeing the world. This is something we know less about. Given their worldwide growth, we should pause and ask ourselves some questions: Who builds them and why? Are they simply built for “plutocrats” for the benefit of “plutocrats”? Do they serve their intended purposes or do they create more harm than benefit? Are they serving the common good? Do the reduce or increase vibrancy on the city streets? How does living or working in them affect the quality of life? How does their construction impact cities around the globe? As I embark on this blog series to explore these types of questions, I think it is important to lay out a bit of my own perspective. First, given how large and expensive they are, I realize they can be controversial. There are those who hate them and there are those who love them. There are those who see them as symbols of the moral failures of capitalism; while there are those who see them as the savior of the city. There are those who love the skylines, but those who dislike the buildings that make them up. The history of the [Manhattan] skyline is the result of the competition for access. It is a solution to an economic problem: how to house as many people as possible on the same geographic coordinates. While, I think this is true in general, I would like to use this forum to discuss this idea in a more nuanced manner. Skyscrapers and their effects on cities are quite complex. We cannot simply say they are good or they are bad, but we must strive for a deeper understanding of how their complexity can generate both pluses and minuses. The more we know, the better they can be made more effective instruments for improving our lives—both physical and cultural. And when we denote the symbol for the object, it’s that much easier to confuse cause and effect. If income inequality is bad for society, we should focus on the cause of the inequality not the buildings. If we think skyscrapers are a result of corruption, we should focus on the corruption, not the buildings. If we think the Burj Khalifa is too tall, we should ask if it helps or hurts the residents of the UAE. The point is that at its core, the skyscraper is just a large building; it is the result of a series of resource allocation decisions. So to me what is key is that we understand what set those decisions in motion in the first place and how the end result affected society. That is, what is the relationship between what I call the incentive landscape and the built landscape? In conclusion, each blog post will begin with what I think is an important question, and then will attempt an answer. I, as an economist, tend to enjoy working with data and graphs. But I want to make this blog of interest to as many people as possible, so I will try to limit my econ-speak and the math and all that, but I can’t promise it won’t appear from time to time. So bear with me. My answers may be speculative because there is still so little research out there. Lots of opinions, but less firm knowledge. I’ll do my best to lay out the different sides and I welcome your feedback. So let’s see how this project develops. Thanks for reading.